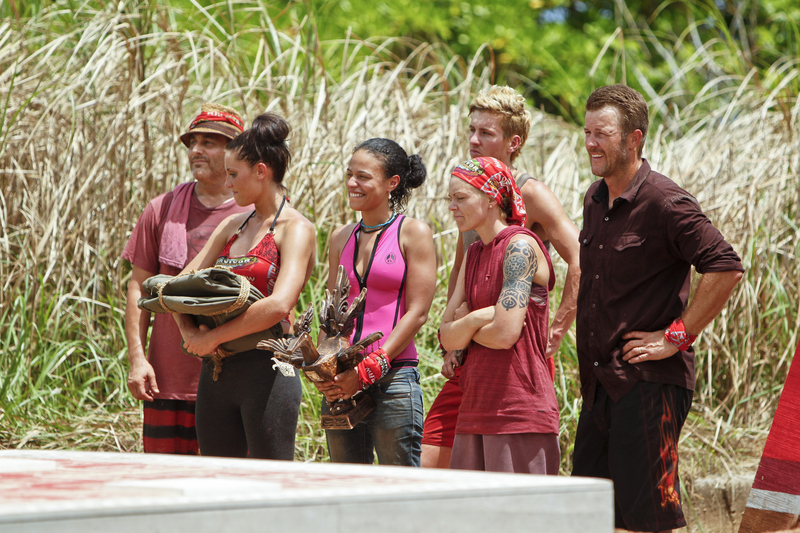 Jonathan Penner, Katie Hanson, Sarah Dawson, Carter Williams, Dana Lambert and Jeff Kent of the Kalabaw after the Immunity Challenge on the second episode of Survivor: Philippines. #Survivor. Photo: Monty Brinton/CBS© 2012 CBS Broadcasting Inc. All Rights Reserved.